On a Hawaiian vacation, it is tempting to just relax around the pool and take it easy enjoying the island life. 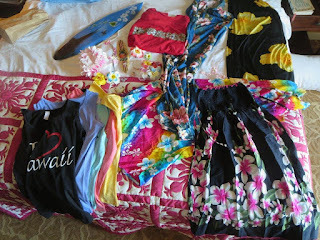 During our fabulous 10-day vacation at Disney's Aulani Resort, we did leave the property to partake in some great excursions outside the resort--and then we rushed back for more pool and beach time! 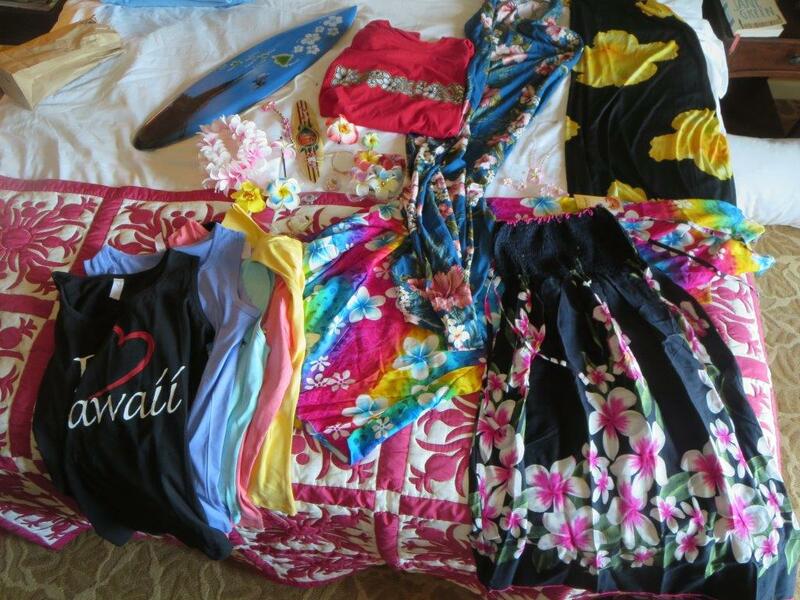 A must-do for any first-timer in Hawaii is the Aloha Stadium Swap Meet. This is the place to go for souvenirs for yourself and friends back home. It’s a huge flea market, with tents full of flowing dresses, Hawaiian shirts, hair accessories, native fruit and nuts, wood carvings, doll clothes, suitcases, jewelry, knives, and more. There is something for everyone! Next time we go, we are bringing empty suitcases and buying all our clothing there! My daughter mostly wore the dresses she bought there, and my son even got into the shopping spirit upon finding knives for sale. We ended up returning with a huge haul of souvenirs! 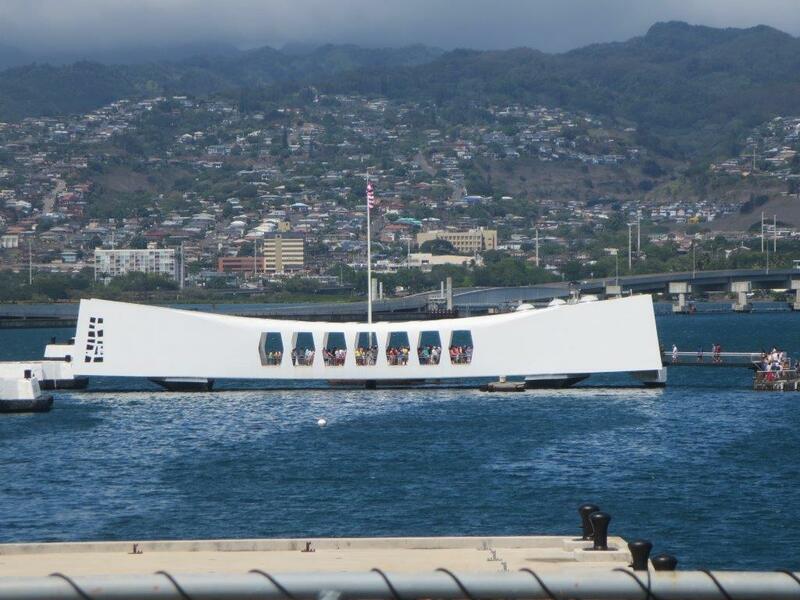 Another recommended activity is visiting is Pearl Harbor. We were concerned that our daughter would be bored, but it was well worth the money. The tour guide was excellent. We also got a tour of downtown Honolulu, and a drive through the Punchbowl National Cemetery, all with a running narration of the history of the area. We had plenty of time to explore Pearl Harbor. After browsing the gift shop, we went through the USS Bowfin Submarine Museum to see what life was like in the submarine. We were then able to board and walk-though the USS Bowfin. I can’t imagine living in closed confined spaces like that underwater for months! Next, we attended a very somber, yet informative 20-minute movie about the attack on Pearl Harbor, followed by a boat ride out to the USS Arizona Memorial. It’s quite a feeling knowing you’re standing above a sunken warship and seeing the shrine listing all the names of those who lost their lives during the attack. It’s nice and quiet, and very awe-inspiring. After the Arizona Memorial, we boarded the bus and headed over to the USS Missouri battleship. This was the ship where the peace treaty between Japan and the U.S was signed. We stood on the deck at the exact site where it was signed. We got to explore on our own and see where the servicemen lived while on board. It was a very entertaining tour, and one that I would do again! We also decided to try snorkeling in the ocean rather than just at Aulani. The Dolphin Star took us on a Dolphin Cruise and snorkeling and we had a barbecue lunch on board. We were picked up at Aulani and taken to the marina where we boarded a boat that held about 120 people which was very comfortable and the food was delicious too! They barbecued right on the ship and there was plenty to eat. Sadly, after trying (and failing) at snorkeling at Rainbow Reef at Aulani, I chickened out on snorkeling in the ocean. However, my husband and kids took to the water like fish and spent an hour watching beautifully colored sea life. 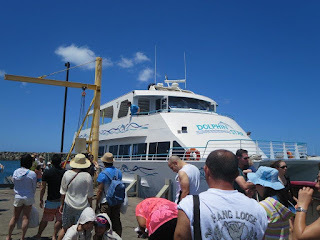 The staff on the boat were awesome and very accommodating. We didn’t see any dolphins, but were offered a rain check for a cruise on another day. Lastly, we took a tour of the Hawaii Five-0 filming sites. I am a huge fan of the show and when I booked the tour I was hoping we would be on location for filming, but they weren't that day. It was a beautiful tour of the island though. We drove through downtown Honolulu and all around Oahu. As we toured around, our guide showed us clips from the show on an iPad in the car, so we could identify the sites we were seeing. 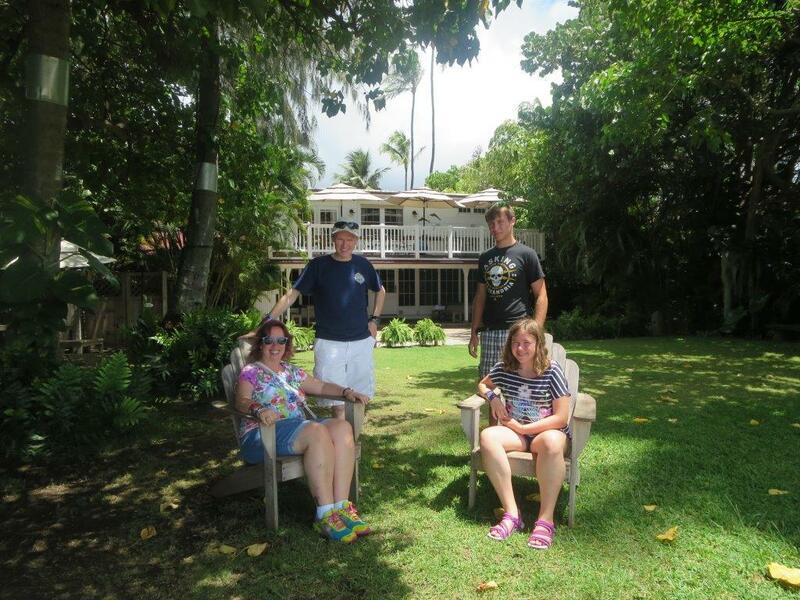 The highlight of the tour was the Bayer Estate, which doubles as Steve McGarrett’s house on the TV show. We were able to go inside and take pictures and sit on the chairs where the characters are filmed. The house is privately owned and is also used for weddings. It’s an amazing location right on a small beach, and you can literally walk from the deck right into the water. Beautiful!! 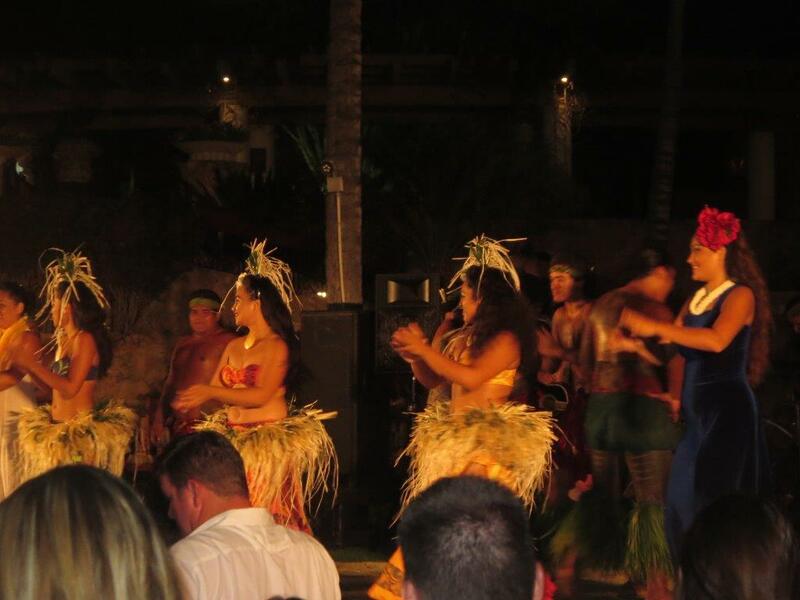 A trip to Hawaii isn't complete without seeing an authentic Luau! After researching many Luau options, we chose the Fia Fia Luau at the Marriott. It was a short walk, or there’s a shuttle bus that goes to all the resorts, golf club and marina in Ko Olina. The Fia Fia Luau is typically held at the Sea Life Park in Honolulu but on Tuesday's it is held at the Marriott. The Chief was very funny, and the luau appealed to all ages. The food was delicious and there were tables set up with merchants selling local hand-made items, as well as crafts for the kids to do. The luau highlights all the different Polynesian cultures, and is quite the show full of dancing, history and music. I will be doing this luau again the next time I am in Hawaii! It was hard to leave Disney's Aulani Resort, but it was well worth the trip. 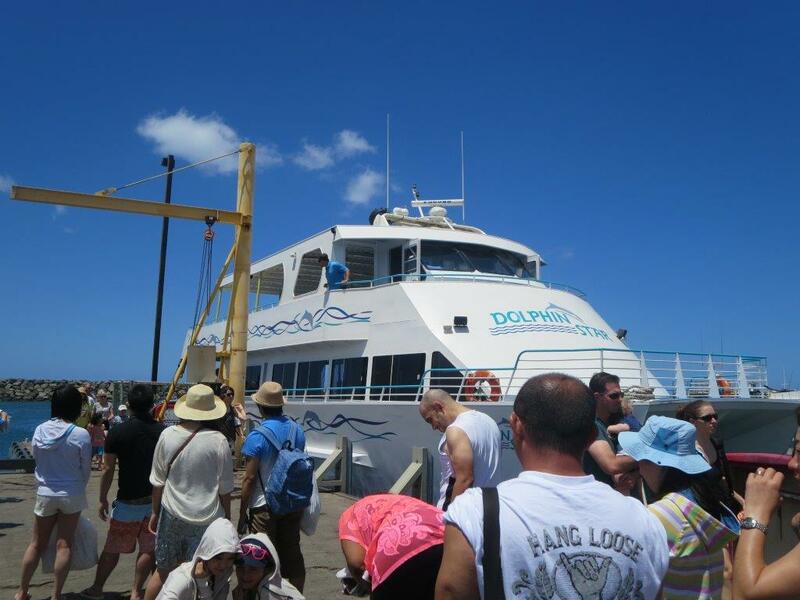 The excursions were great and we made many memories. Aulani has an Excursions Desk at the resort where you can book many experiences around the island. You can do some advance research and book many different excursions online before you arrive on Oahu. Booking ahead of time confirms that you will actually leave the resort and enjoy your ventures out around town! As you can see there are plenty of amazing excursions to book in Hawaii! If you need help planning your trip to Hawaii, please contact us at Vacations@KingdomKonsultant.com.